This much-loved sitcom quickly became a real ratings winner for the BBC when it was first aired in 1979. 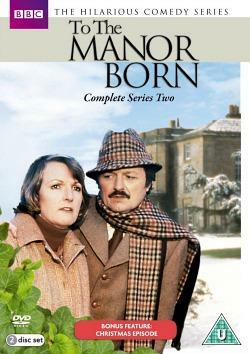 Three series (22 episodes) were created in total, and it was certainly one of my childhood favourites. If you're into Shakespeare then you''ll know that the programme's title is a pun of the phrase "to the manner born" from Hamlet. If you're not a Shakespeare fan then you now know anyway! One of two lead character's was the aristocratic Audrey fforbes-Hamilton (played by Penelope Keith) who is forced to move out of her manor house (which was dear to her heart) due to the death of her husband, Marton. She discovers that he was broke and needs to pay off his debts by selling the property. She moves into the Old Lodge next to the driveway of the manor house, where she can still observe much of what is happening at the manor. 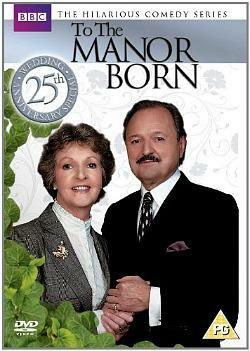 The manor is bought by the other lead character, Polish-Czechoslovakian millionaire Richard DeVere (Peter Bowles) who has made his fortune from supermarket chain Cavendish Foods, although Audrey refers to him as a grocer! Despite much conflict between the two characters during the series, by series three the two have grown much closer and they married each other in the 1981 finale. Due to the success of Keith's character Margo Leadbetter in The Good Life, BBC Radio asked Peter Spence to create a comedy featuring her. 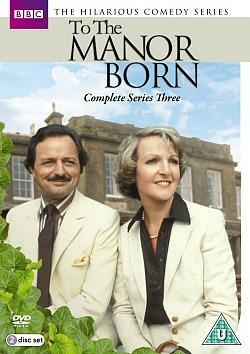 A radio pilot was made but never broadcast, but it was based on a comedy featuring a cockney comedian buying a manor house which Spence had developed in the early 70s. There were many changes to the script before and during Christopher Bond's conversion of the story from radio to TV. 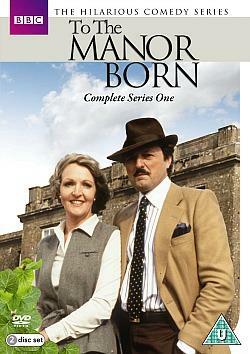 The first episode of To The Manor Born was broadcast on 30th September 1979, roughly a year after Keith's final appearance in The Good Life. The British were masters at creating interesting storylines combined with gentle humour that its audience could relate to. It didn't need to be over-the-top, and this series certainly struck a chord with it's appreciative viewers. An enjoyable one-off Christmas Special was aired in 2007 to celebrate the couple's silver wedding anniversary. Marjory Frobisher - an old, sympathetic friend of Audrey who was played by Angela Thorne. She has a muddlesome mind and has a crush on Richard DeVere. Richard's Mother (played by Daphne Heard) is given the nickname "Mrs Poo" due to her long-winded and unpronounceable real name Maria Jaroslava Vladimira Martinka Polouvicka. Brabinger the butler (John Rudling who died in 1983) who has worked for the Fforbes-Hamilton's his whole life. Ned, the gardener and odd-job man (Michael Bilton) who becomes the butler in series 2 due to actor John Rudling having an illness. The Rector (Gerald Sim) favoured Richard DeVere as he was a regular donator to the church and less interfering than Audrey. Mrs. Patterson (Daphne Oxenford) is the local gossip who runs the village shop.